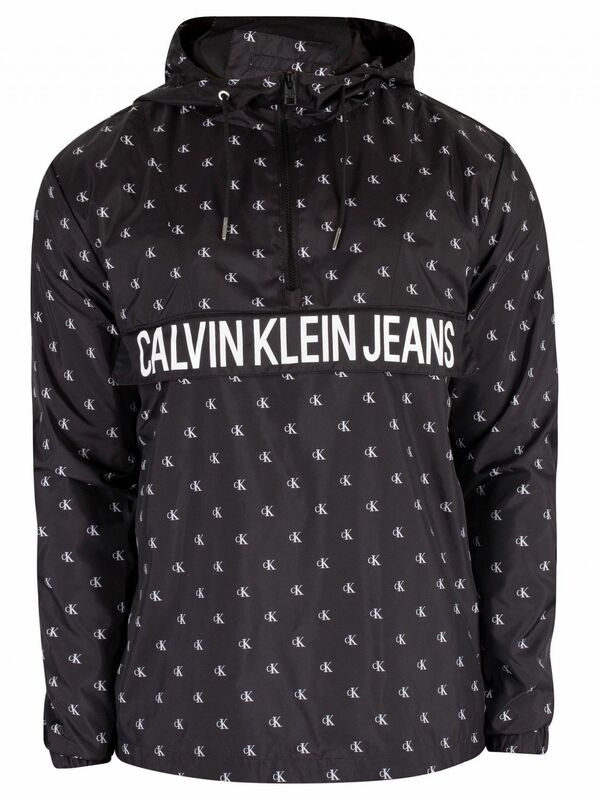 The Monogram Nylon 1/4 Zip Jacket from Calvin Klein Jeans comes in Black colour, featuring elasticated cuffs and mesh lining. 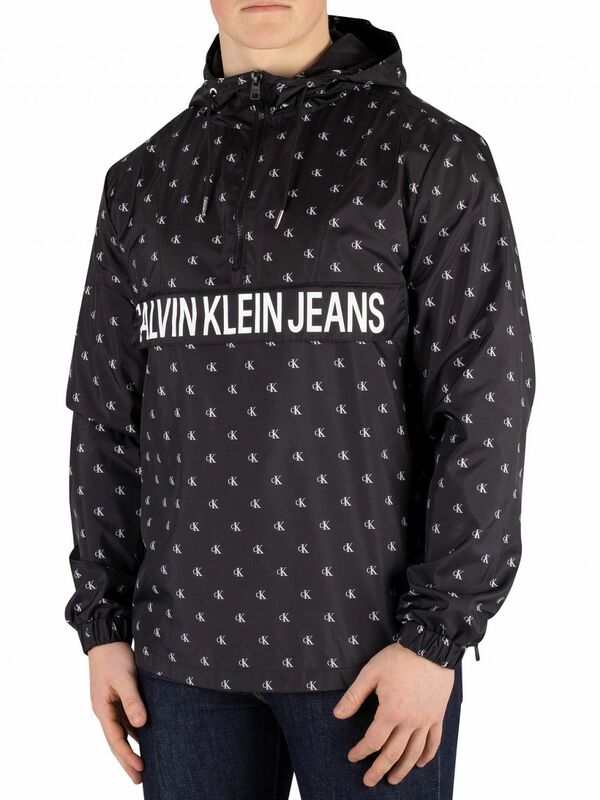 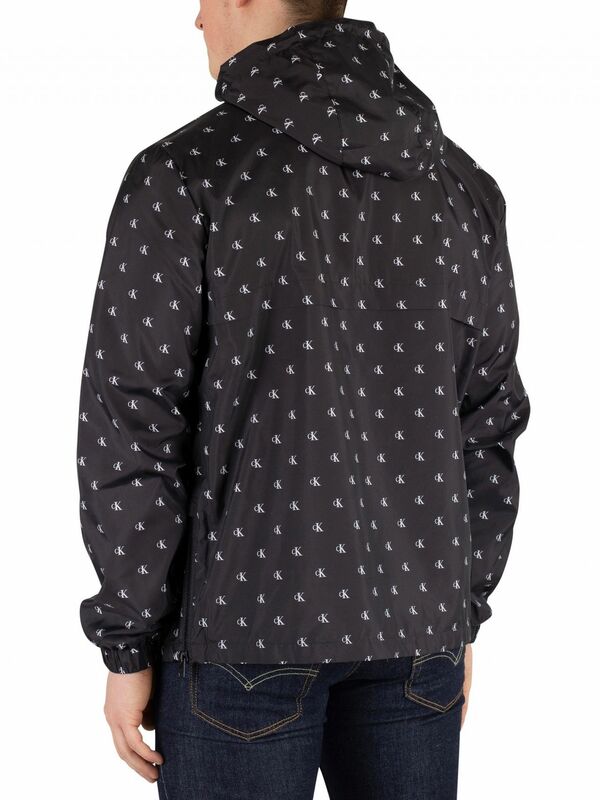 Along with zip up side and 1/4 zip closure, this jacket sports all over branded pattern. 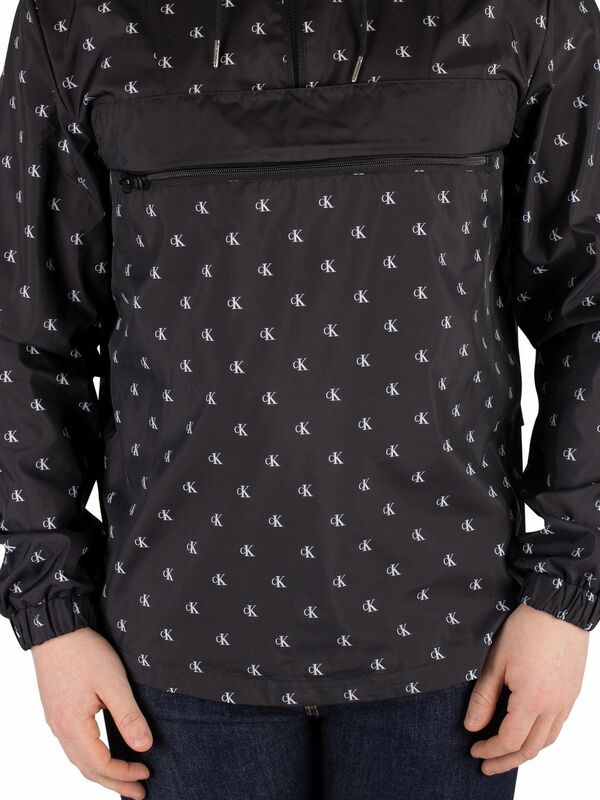 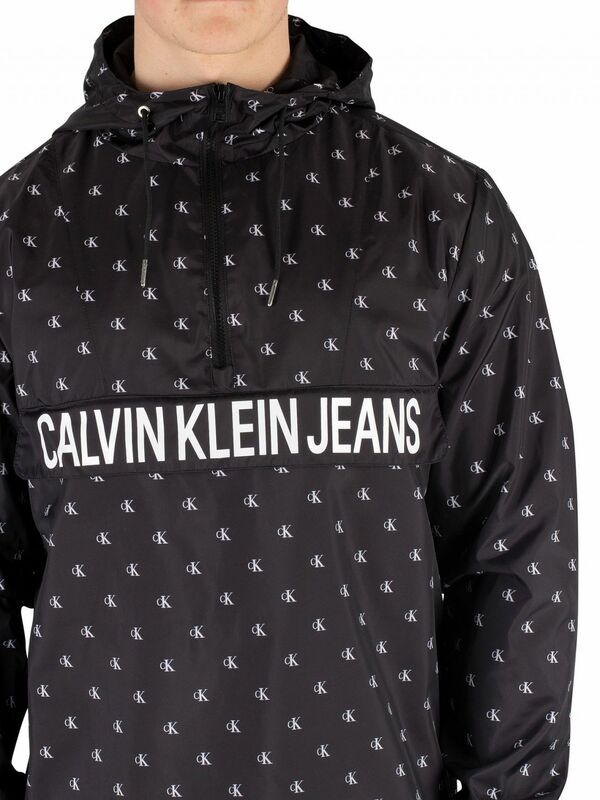 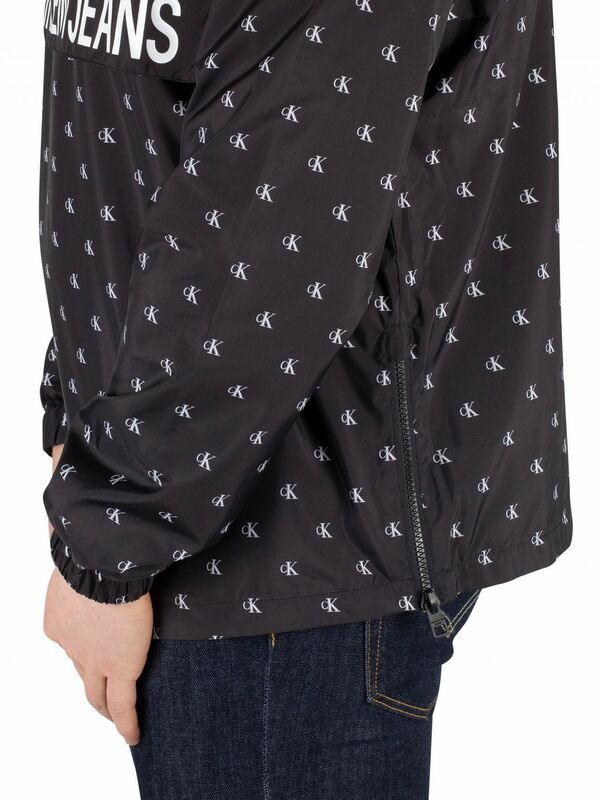 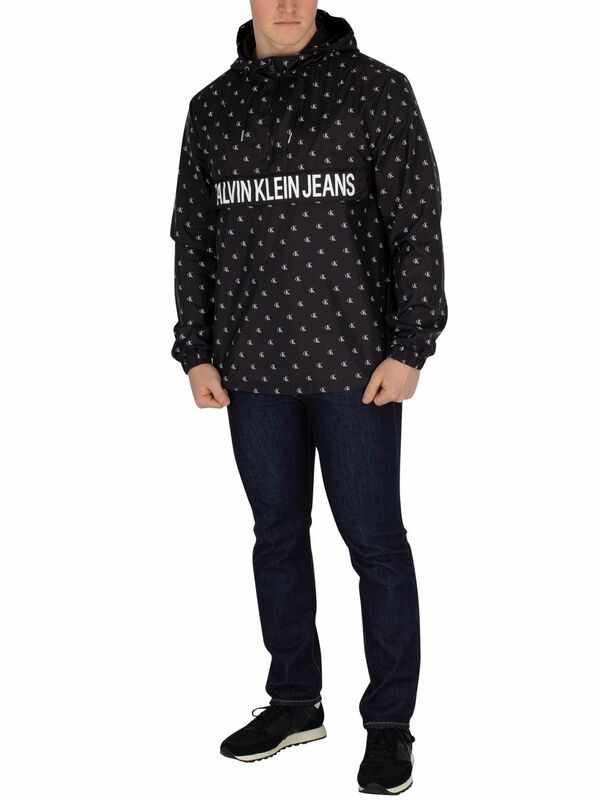 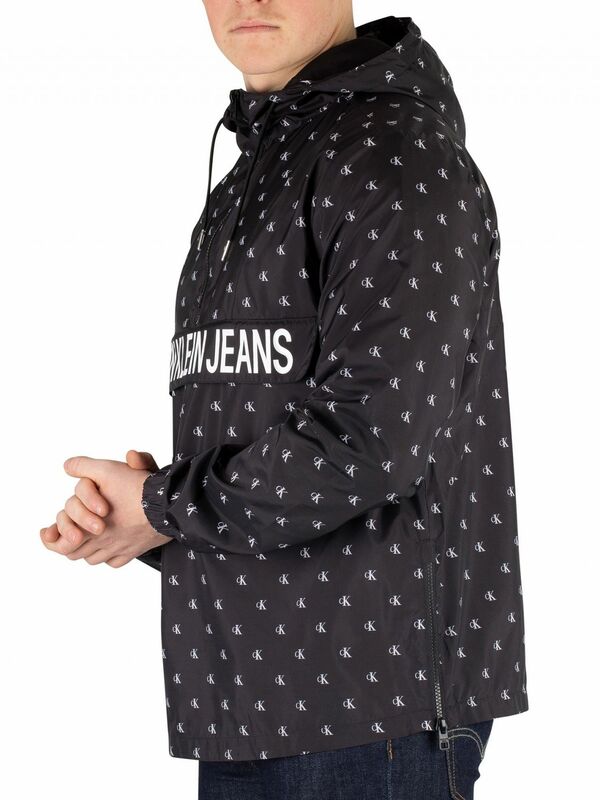 This jacket also features a printed logo on front zip pocket and a drawstring hood.